IPAN IPAN is a company that is a tad bit new, yet their current products are well sought after. They have made wireless charging receivers with additional cases and also a sleek wireless charging pad. 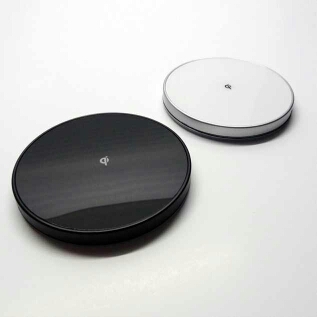 The wireless charging pad of IPAN IPAN, called the Qi Wireless Power Pad is a clean 11mm in height and 91mm in diameter wireless charging pad. Available in white or black, it only shows elegance with a small Qi logo right at the center. The only thing differentiating it from other wireless charging pads is its LED indication lights pointing down from the bottom edge of the device. It gives different colors to signal if it’s on standby, charging, or if there’s an error. It gives quite a beautiful touch to the whole device, and its clear visibility during the night is a plus. The Wireless Power Add-On is actually a universal wireless charging receiver, a very beautiful, elegant, and sleek one at that. Compared to the one we have featured here on Qi Wireless, this works just about the same, but does it in fashion. IPAN IPAN’s wireless power add-on can simply be plugged at the bottom of the smartphone where the microUSB is supposed to be. One caveat with this though is that the microUSB has to be at the bottom center of your smartphone, and have the narrow side up and the wide side down. This is for the wireless charger to be perfectly placed on the back of your smartphone. Being only 1.3mm thick, and quite pleasing to the eye, you can simply place it on the back of your phone and leave it as it is. If having a case on your phone is your thing, this should still fit snugly under the case. There would be some cases that would slightly bulge though as it is made strictly for just your device. Not to worry though as IPAN IPAN has thought of a way to get through this. 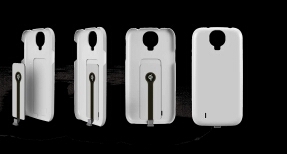 A case made to compliment their wireless power add-on is also available to purchase. It has space right on the back to exactly fit the wireless power add-on taking away the bulge other cases would have. 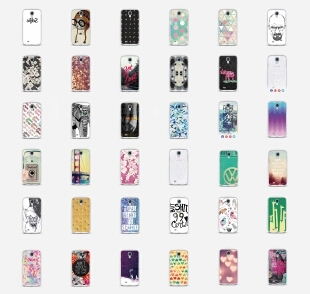 Besides that, it is also possible for you to have your own design on the case. IPAN IPAN offers UV printing sublimation to have your case looking the way you want it to. Prices and other information about it is currently unclear at the moment though, but once we are able to contact them, we’ll send out more information to you. Maybe we’ll also be able to have their products to review their full arsenal of wireless charging. You can check out IPAN IPAN’s website here and have a look around. On your description of the IPAN IPAN Qi Wireless Power Pad you say that it is much sought after “for”. I have an associates in Electronics Engineering and I Love your products…Fabulous Ideas with such growth potential..